The American Psychiatric Association defines autism, or ASD, as “a developmental disability characterized by social and communication impairments and by restricted interests and repetitive behaviors”  There is no one form of autism, but rather a wide spectrum of manifestations and diagnoses that reside under the autism umbrella; including autistic disorder, childhood disintegrative disorder, pervasive developmental disorder-not otherwise specific (PDD-NOS) and Asperger syndrome. Although there are many theories about the cause(s) of ASD, researchers generally believe it’s caused by a combination of genetic and environmental influences. ASD does appear to possess an inherited component in some cases, and recent research has shown that likely hundreds of genes may be involved. SPARK (Simons Foundation Powering Autism Research for Knowledge) is a landmark research partnership that aims to recruit, engage and retain a cohort of 50,000 individuals with ASD plus their family members with the ultimate goal of developing treatments and supports to improve the lives of those impacted by ASD. SPARK participants are being sequenced and genotyped to identify new genes associated with autism risk. Clinically confirmed genetic results will be returned to individuals for whom a genetic cause of their autism is identified. Since launching nationally in April 2016, SPARK has enrolled over 20,000 individuals with ASD and 30,000 of their family members. The genetics portion of SPARK includes collecting a saliva sample from each family member and to date, SPARK has received close to 30,000 DNA samples through the post using Oragene saliva collection kits. DNA Genotek and SPARK have worked very closely over the past year to develop a DNA sample collection solution to address their unique requirements. DNA Genotek’s GenoFIND services offer the ability to create custom sample kit packaging complete with graphic design, barcoding and return shipping as well as order fulfillment capabilities. 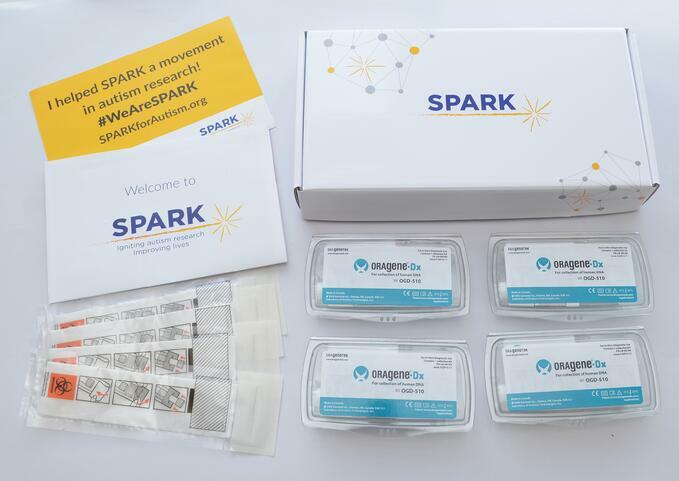 Those who wish to participate and donate their DNA sample to SPARK simply go to the SPARK’S online portal, answer some basic questions to determine their eligibility and accept delivery of an at-home saliva collection kit. This acceptance triggers order fulfillment from DNA Genotek’s fulfillment center to the donor’s home. The at-home collection package consists of an Oragene self-collection kit with optional absorbent sponges to be used for assisted collection when necessary, an instruction booklet and pre-paid shipping materials for return delivery to the lab. Once received at by the laboratory, the barcoded Oragene/saliva samples go through DNA extraction and whole exome sequencing and are then entered into the open resource database for ongoing analysis. The custom packaging for the SPARK project was developed by GenoFIND's customization and order fulfillment team at DNA Genotek. This month marks the one year anniversary of the SPARK project. We at DNA Genotek, as well as all those affected by ASD, would like to say congratulations and thank you for undertaking this important initiative. 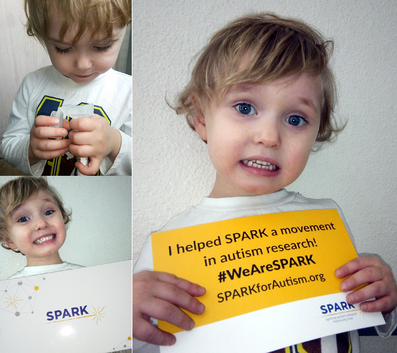 SPARK’s success depends on the families and individuals with autism to join their community and to provide the data that will power research and treatment forward. Visit Spark for Autism for more information and learn how to get involved in this impactful effort. Christensen DL et al. Prevalence and Characteristics of Autism Spectrum Disorder Among Children Aged 8 Years — Autism and Developmental Disabilities Monitoring Network, 11 Sites, United States, 2012. MMWR Surveill Summ. 65(3):1-23 (2016). American Psychiatric Association. Diagnostic and statistical manual of mental disorders. 4th ed. Text revision. Washington, DC: American Psychiatric Association (2000).